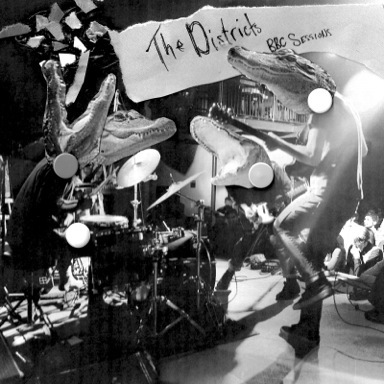 Hotly tipped Pennsylvanian band The Districts have announced details of their new live EP, recorded during their first visit to the UK earlier in the year. ‘The BBC Session’ EP is released on 6th October 2014 through Fat Possum. It was recorded at Maida Vale Studios, London in April and will be available both digitally and limited edition 12″ vinyl (500 copies). The EP features live recordings of Funeral Beds, Long Distance, Rocking Chair, and Silver Couplets which is currently available to stream on SoundCloud here. The band returns to the UK and Ireland next month to play the Reading and Leeds Festivals, End of the Road, and Electric Picnic. They will also headline a one-off show at London’s Lexington on 27th August.